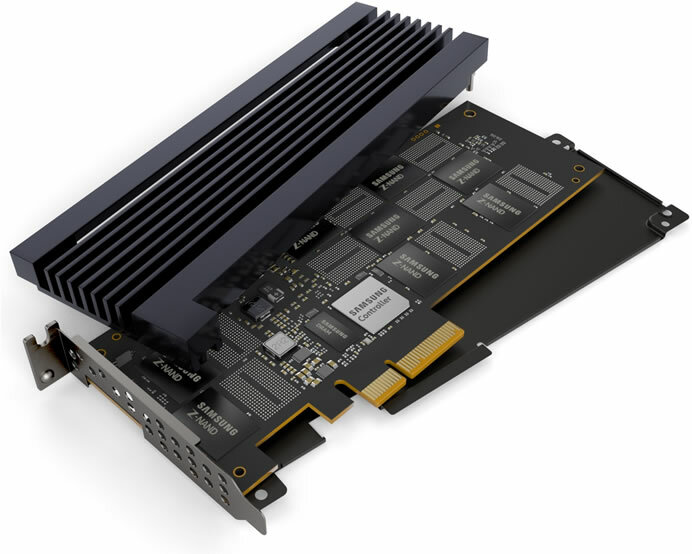 Samsung today launched an 800-gigabyte (GB) solid state storage drive—the SZ985 Z-SSD, for the most advanced enterprise applications including supercomputing for AI analysis. 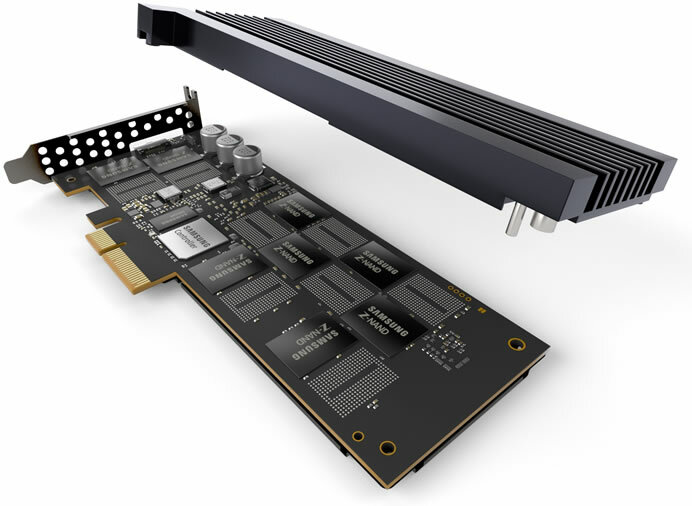 Developed in 2017, the new 800GB Z-SSD provides the most efficient storage solution for high-speed cache data and log data processing, as well as other enterprise storage applications that are being designed to meet rapidly growing demand within the AI, big data and IoT markets. 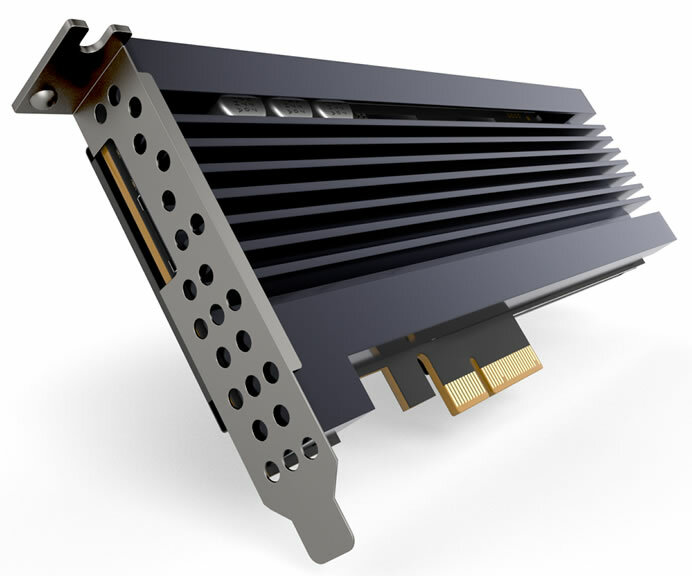 The new single port, four-lane Z-SSD features Z-NAND chips provide 10 times higher cell read performance than 3-bit V-NAND chips, along with 1.5GB LPDDR4 DRAM and a high performance controller. Armed with some of the industry’s most advanced components, the Samsung 800GB Z-SSD features 1.7 times faster random read performance at 750K IOPS, and five times less write latency – at 16 microseconds, compared to an NVMe SSD PM963, which is based on 3-bit V-NAND chips. The Z-SSD also delivers a random write speed of up to170K IOPS. Due to its high reliability, the 800GB Z-SSD guarantees up to 30 drive writes per day (DWPD) for five years, or a total of 42 petabytes. That translates into storing a total of about 8.4 million 5GB-equivalent full-HD movies during a five-year period. The reliability of the new Z-SSD is further underscored by a mean time between failures (MTBF) of two million hours. Samsung will introduce its new Z-SSD in 800GB and 240GB versions, as well as related technologies at ISSCC 2018 to be held in San Francisco from February 11-15.